Whether healthy or health-challenged, music has always been a part of my life. My earliest memories include my mother’s simple renditions of spirituals, 19th to about mid 20th century wartime and parlor songs, as well as traditional hymns. We had an old console which continually played 45’s, 78’s or other LP’s of Nova Scotian folk songs (especially sung by Catherine McKinnon), American civil rights songs (including Joan Baez), Broadway musicals and Louis Armstrong. Saturday afternoon housework was accompanied by jazz on the radio and Sunday lunch was digested with classical music, courtesy of the Canadian Broadcasting Corporation. And how could I forget, every week, we gathered around the TV to watch the famous and enduring Atlantic Canadian musicale, Don Messer’s Sing-Along Jubilee. When I was nine, I joined the junior choir in my church near Kingston, Ontario and was fortunate to have a trained musician as organist and choir director. There were six other little girls – all sopranos and me – the lone alto. I didn’t mind at all. I loved harmonizing and was able to carry the part with my developing voice. It was a real thrill to sing my first solo on Easter Sunday at the age of eleven. From that time, I explored and learned to play other instruments – guitar, piano and clarinet in the high school band, as well as singing with choral groups off and on as a teenager. When I was in my final year of high school, I decided to pursue music at a more advanced level. I took up formal singing lessons and even devoted a year between high school and university to intensely study voice, piano and music theory. 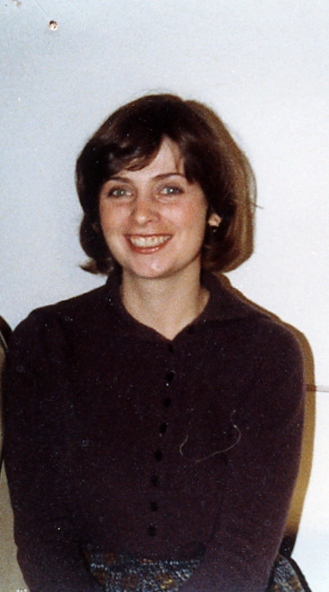 Gwendominica after singing at a fall wedding during her music studies at Queen’s in Kingston Ontario in 1980. I really enjoyed four years of music immersion (1977 -81) for the Bachelor of Music degree at Queen’s University in Kingston Ontario. My comprehensive program of study was a well-rounded one, and included mini-recitals leading up to the big graduation concert, as well as chorister parts and a few solos with the Choral Ensemble and the Chamber Singers, and a weekly part-time job as soloist at the Christian Science Church in my last year. Prior to that, I formed a little group with two other ladies who worked with me during the summers at Old Fort Henry, a tourist site in Kingston, Ontario. We called ourselves ‘WAH’ (initials of our last names) and sang songs from the 1940’s. We beat out many other performers to sing in the prestigious ‘ Queen’s Best’ annual talent show in March 1980. I made life-long friends at the Queen’s School of Music – most of whom continue with their music ‘on the side’ over 30 years later. We all felt that it would be too stressful, competitive and financially challenging to pursue professional careers as musicians, so we went off into different fields that realistically could generate steady income, such as teaching, business and the civil service. As I enjoyed books and research, I decided to study Library Science at Dalhousie University in Halifax, Nova Scotia. But of course, music was always waiting on the sidelines. Even during the very intense two-years of graduate school, there was somehow always time to perform solos and contribute to the alto line at the First Baptist Church just off campus, and sing in a little in-class folk group, as well as the ever-popular Dalhousie University Chorale. In the summer between the two years of study (1982), I returned to Kingston and performed with five others in the Broadway musical revue ‘By Strouse’ (Annie, etc) at the Kingston Summer Theatre, which was then based at the Grand Theatre on Princess Street. It wasn’t long after I graduated in 1983 that I started my career as a librarian. I worked hard and moved to various positions within different departments of Government of Nova Scotia. It was a very productive time and I really enjoyed my chosen career. Of course, I needed music as my main after-work diversion so I joined the Gilbert and Sullivan Society of Nova Scotia in 1984. It really was a lot of fun and we had a great time putting on full productions at the Neptune Theater in Halifax and a smaller playhouse in Annapolis Royal every spring. The first few years, I sang alto and second soprano in the chorus and understudied the main female parts. To my delight, I was subsequently awarded lead roles in Iolanthe (Phyllis) and The Mikado (Yum Yum) in 1988 and 89. I also sang the role of Peep-Bo in Symphony Nova Scotia’s production of The Mikado later in 1989. Apparently, G & S wasn’t enough for me! I also joined a small chamber choir directed by renowned Canadian organist Frederick Mooney for a year or so in 1983 and 84. It was a thrill to sing with this small group of trained musicians and put on concerts of a very high standard. Then, in 1985, a friend encouraged me to audition for a place in the Aeolian Singers, a 40 voice four part female choir of considerable repute, which is based in Dartmouth Nova Scotia. This assembly of ladies took their singing very seriously. Although amateurs, we aspired to professional standards. The Director was very strict about attendance, rehearsal etiquette and respect for each other. There was even a policy banning perfume from practices and concerts, as she felt it could irritate and affect some people’s voices. I was intrigued by that rule, as it was a first for me, and foreshadowed what would later become all too familiar. It was such an honour to sing first alto in this challenging choir, and to tour four countries in Europe (Netherlands, Germany, Austria, Switzerland) in July 1986 to great acclaim. In 1990, I successfully won the competition for a well sought-after position in a prominent library in Halifax, Nova Scotia. I was feeling on top of the world! But after a couple of months on the job, my sphere quickly tuned upside down. Almost from the start, persistent chest colds and ‘flus, severe headaches, painful eczema on my hands, rapid weight gain, difficulty concentrating and troubling anxiety were taking their toll as I struggled to run a busy department. Added to my dismay was the discovery that I could barely sing a few notes. Initially, the loss of my singing voice was very hard to accept. It was a tremendous disappointment to decline an invitation by the Gilbert and Sullivan Society of NS to again perform the popular duet from Iolanthe entitled “None shall part us from each other…”. It had been voted an all-time favourite of the troupe and I had been asked to sing it with the tenor lead at a special event. As I searched for answers to my strange illness, I came to terms with the fact that I could no longer sing. At that time, I felt too ill and exhausted to even think about it. Eventually, I couldn’t even work and singing quickly becoming a distant memory. Health-wise, every day was a struggle. But then I started to get some answers from medical specialists. However, music was never in the equation (except for listening pleasure, which certainly was and continues to be a therapy). 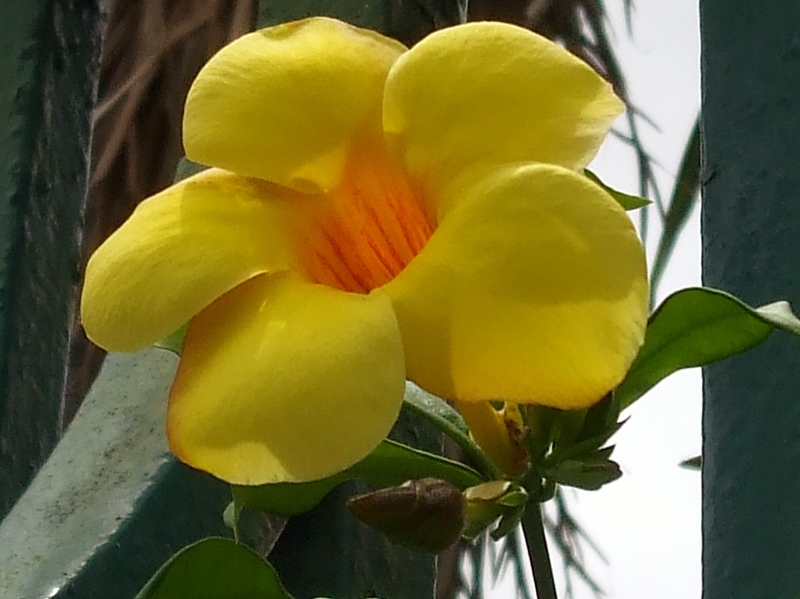 Then came the decision to move to Dominica (See https://canarygal.wordpress.com/2012/06/10/healing-on-the-nature-island/ ). To my complete amazement, my abandoned music life took a surprising turn! This entry was posted in Canadian Expatriates Blogs, Chemical Sensitivities Blogs, Chronic Fatigue Syndrome (CFS) Blogs, Environmental Illness Blogs, Gwen Whitford Dominica, Gwenith M. Whitford, Multiple Chemical Sensitivities Blogs and tagged Musicians and chronic fatigue syndrome (CFS), Musicians and environmental illness, Singers and chemical sensitivities, Singers and chronic fatigue syndrome (CFS), Singers and environmental illness.